I am honored and humbled to have taken oath as a member of the prestigious National Assembly of Pakistan. It is today where i have been given representation and opportunity to legislate the future of our country. This oath binds me to be faithful to my country, it’s people and it’s democracy. It is an allegiance towards the vision of our great leaders M.A Jinnah and Dr Allama Iqbal. It is elating to be congratulated by mentors, seniors , family and friends as being the first woman MNA from Kohat District, however this achievement has not come in vein and has utmost dedication attributed to it. Nevertheless, the fact remains that this is the beginning of a new struggle and optimism towards giving our nation a better future. Prior to the awareness revolution launched by our leader Imran Khan, we were fighting against the system which had inherited corruption, nepotism, bribery and many other social, political and economic vices. However, Imran Khans determination and political ideology became a thorn for a system which nurtured all the wrongs and harvesting a system of absolute corruption. He raised awareness against dynastic politics in circumstances which were not in his favor , nevertheless he reached to the under privileged and became a voice of our youth. It is his dedication, hard work and honesty which inspired me to initiate my political career ten years ago and yes it had its own consequences of being opposed especially being a woman political worker but today I triumphed and made us all proud. As a member of the PTI and being a Pakistani, my utmost responsibility was to mobilize the women of a largely conservative region of KPK and despite difficulties and resistance, our self belief and the belief in our leader’s vision made us work tirelessly for the empowerment of rights of women. Under the gravest possible circumstances we propagated awareness where women were deprived of their fundamental rights which included education, healthcare, voting etc. We received life threats, warnings, yet we were there to finish what we started. The most important issue is Kashmir dispute, which is an internationally recognized and oldest dispute. It require serious attention from UN to conduct plebiscite in Kashmir on priority basis. Its been an awful journey full of griefs and sorrows, rapes and killings abuse and atrocities, bloodshed and worst human rights violations committed from Indian armed forces since 1947. Pakistan has always been a great supporter to right of self determination of Kashmiris while India has always been lacking in accepting this reality. Pakistan Tehreek e Insaf shall prioritize Kashmir dispute on a very serious note and make all possible necessary actions to divert international attention towards stopping human rights violation in Kashmir. PTI must include Kashmir Issue in it first 100 days agenda and give. Today, Allah has given us an opportunity to convert the dream and vision of our great Leaders into reality. Under the leadership of Imran Khan we are here to plan, improve, execute and deliver a system free of all the wrongs we have witnessed in history. Our present has provided us the platform to improve our future and there is no better place to voice an opinion than the floor of the house. Our challenges will become our strengths and our priorities will remain people oriented by giving preference to health, education, human development, food and water security. Our aim is to improve on the way we have worked in KPK in the last five years and replicate in in other provinces. We as a nation will ensure pursue the vision behind Naya Pakiistan. Conclusively, I one man cannot change the destiny of a nation, people build and change their own destiny and Allah favors the brave and the righteous. It is an obligation of every citizen of Pakistan to work with full zeal and fervor, making this great nation as one of the leading economic powers in the region. It takes only a few years to put a nation on the right course and history provides us with examples of post war Germany, France, China and later Malaysia and in recent years Turkey. Pakistan needs evolution not revolution and evolutionary process requires consistency , honesty and the will to succeed. 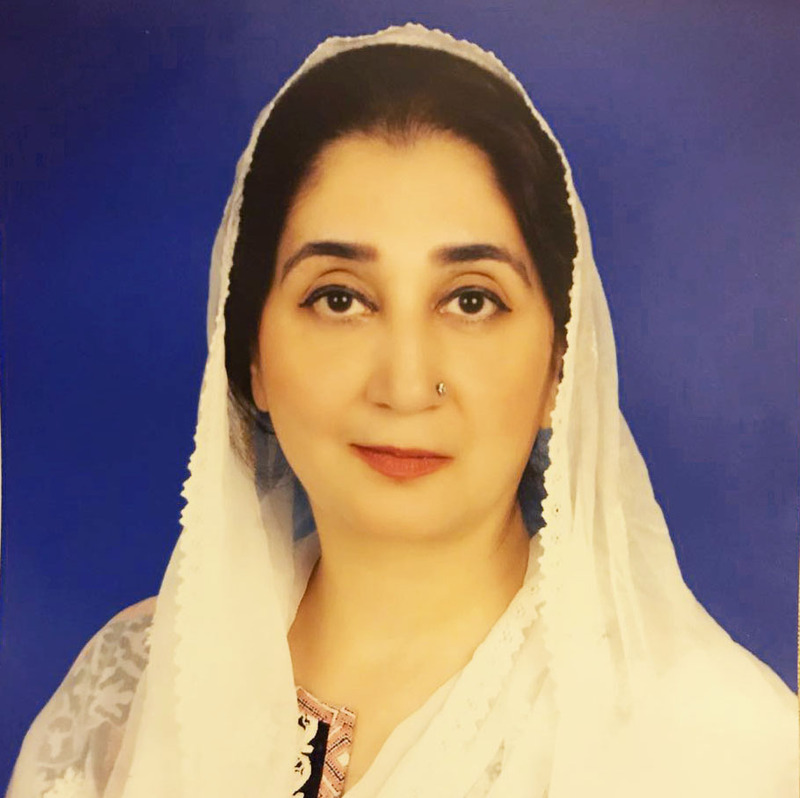 About Author: The writer is selected as member National assembly of Pakistan on special women’s seats. She is an active leader of Pakistan Tehreek- e- Insaf.